Quebec and Ottawa residents interested in subscribing to the Fizz Mobile beta program no longer need to wait for an invite code. According to a Reddit post by user ottawa123456789, anyone with a valid address can sign up for the Fizz Mobile beta, create a plan, order a SIM card and activate their SIM. MobileSyrup was able to test Fizz Mobile beta program sign up process using randomly generated Montreal and Ottawa addresses. New subscribers have an option between three customizable base plans: a $3 plan that comes with 2GB of data, and no text messaging or calling options; a $4.50 plan that comes with 4GB of data, and unlimited Quebec-wide text messaging and calling, and a $5.50 plan that comes with 8GB of data, and unlimited Quebec-wide text messaging and calling. Each plan is fully customizable, and subscribers have the option of increasing or decreasing their desired data buckets, adding or removing unlimited text messaging and calling, as well as expanding coverage across Canada and the U.S. New subscribers can also add voicemail and country-specific long distance calling for additional costs. Every plan comes with call display, call waiting, conference calling and call forwarding. Fizz’s startlingly low prices are initial beta test costs for the first three months following a plan activation. After three months, the 2GB plan will likely cost $29, the 4GB plan will likely cost $43 and the 8GB plan will likely cost $53. New subscribers can also ‘start from scratch’ and fully customize a plan to their liking. A plan with every bell and whistle — 8GB of data, unlimited messaging, unlimited calling, coverage across Canada and the U.S. and voicemail — initially costs $7 and will cost $64 after three months. Once subscribers create their plans, they’ll have the option of ordering a new SIM card or activating a SIM card. Each SIM card costs $1 and subscribers can order 10 SIM cards at a time. Subscribers can select standard shipping — which is free and takes two business days — or express shipping — which costs $1 and can take fewer than two hours to deliver a SIM card. 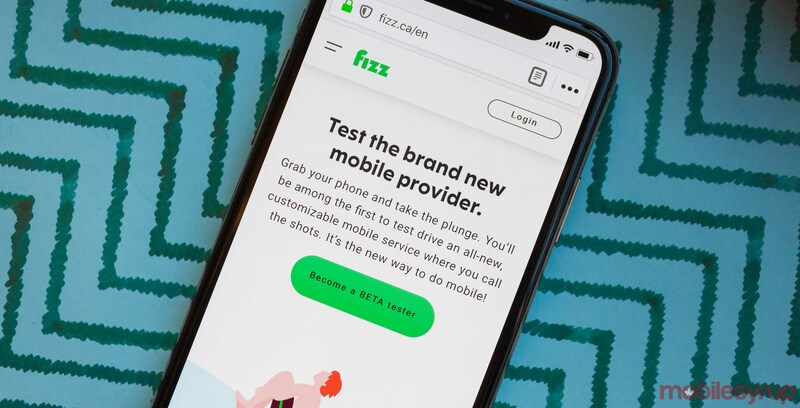 News of Fizz Mobile’s existence first broke in September 2018, when publications first began reporting that Videotron was beta testing a mid-range flanker brand in Quebec and parts of Ottawa. Users on Reddit have reported a variety of issues with Fizz Mobile’s service, ranging from an inability to connect to LTE services to being unable to receive text messages. MobileSyrup has reached out to Videotron for additional information. This story will be updated with a response.